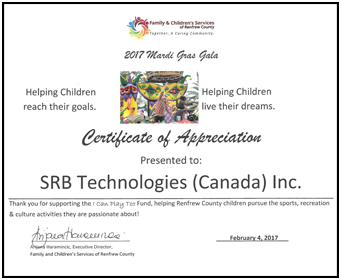 SRB Technologies (Canada) Inc. has been presented with a Certificate of Appreciation from Family and Children's Services of Renfrew County at the 2017 Mardi Gras Gala in recognition of their support for the "I Can Play Too" fund, helping Renfrew County children pursue the sports, recreation & culture activities they are passionate about. 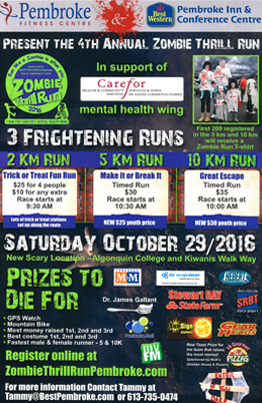 Please note that all funds donated to Carefor in Renfrew County are used to support programs in Renfrew County. 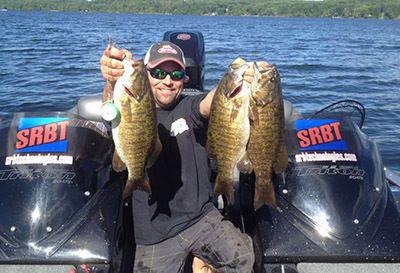 This year marks a milestone for the event's history. 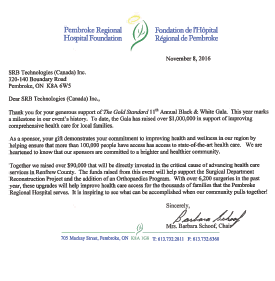 To date, the Gala has raised over $1,000,000 in support of improving comprehensive health care for local families. 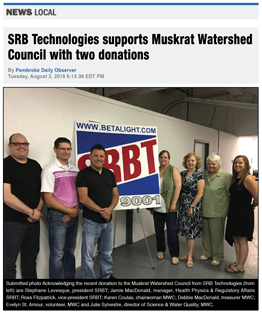 commitments from SRB Technologies (Canada) Inc.
club members of the Muskrat Watershed Council. 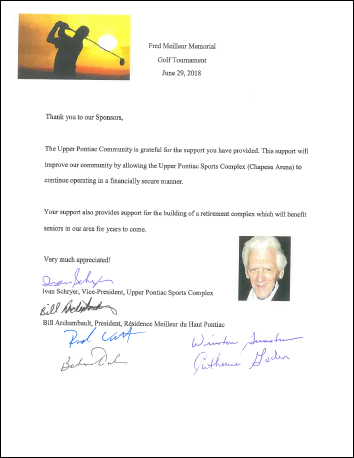 "On behalf of the Upper Pontiac Community, we wish to express our sincere appreciation for the sponsorship that you have provided to our fundraising 'Fred Meilleur Memorial' Golf Tournament held on June 29, 2018." 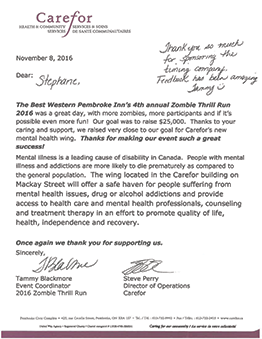 Saturday October 29th the BEST WESTERN Pembroke Inn and Fitness Centre will be hosting the “Zombie Thrill Run” to raise money for Carefor Health & Community Services Mental Health Wing. 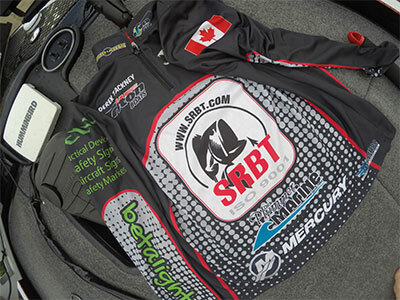 SRB Technologies and Wilderness Tours are proud to sponsor the "Ladders Up" online auction in support of the Canadian Fallen Firefighters Foundation. 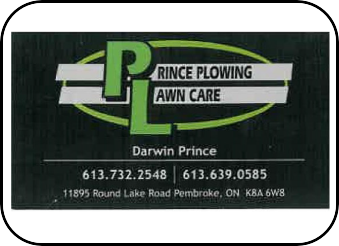 August 12, 2016 @ Oaks of Cobden. 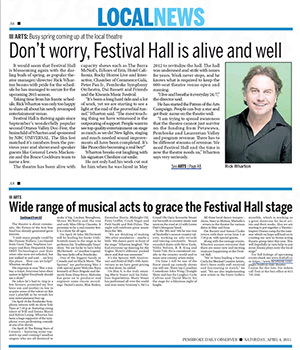 SRBT is proud to sponsor the arts in Pembroke. 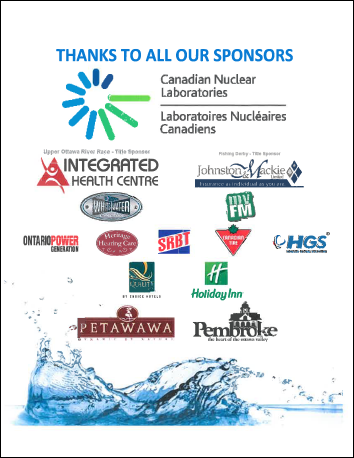 We would like to take the time to say thank you. 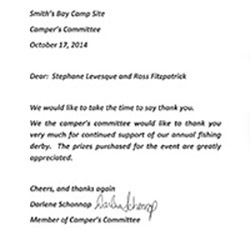 We the campers' committee would like to thank you very much for the continued support of our annual fishing derby. 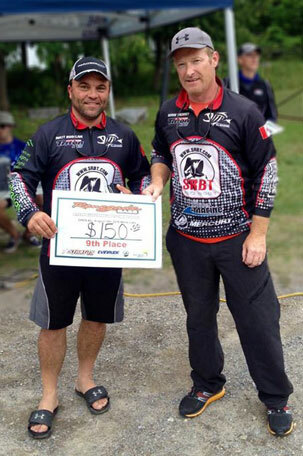 The prizes purchased for the event are greatly appreciated. 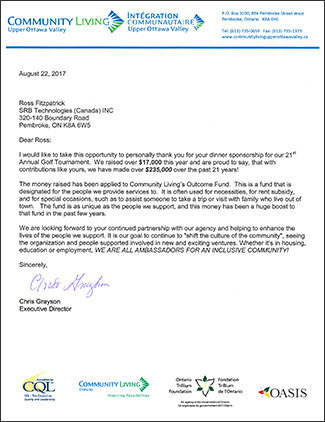 Thank you very much for your kind donation to our program. We currently have over 100 kids registered and playing organized basketball in the area. 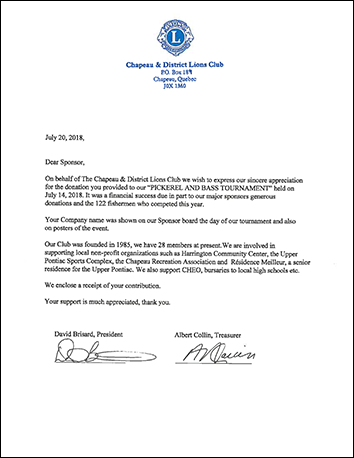 The funds we have raised are going towards purchasing uniforms for our boys and girls teams, which are competing in their first season in the Eastern Ontario Basketball Association. Have a great holiday season, and again thanks. 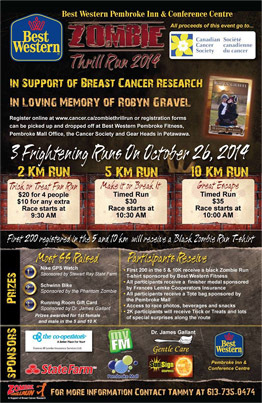 Sunday October 27th the BEST WESTERN Pembroke Inn and Fitness Centre will be hosting the “Zombie Thrill Run” to raise money for Breast Cancer. Achieving mental well-being can be a very difficult journey, but with the proper support, it is possible. 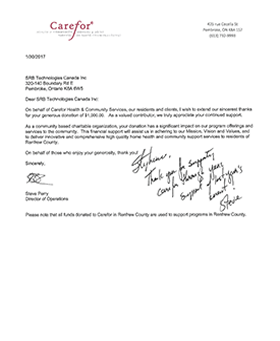 The mental health and wellness professionals that comprise the Robbie Dean Family Counselling Centre are committed to enhancing services in Renfrew County so that everyone who needs support has an opportunity to access the services they require and deserve when they need them. The Robbie Dean Family Counselling Centre is a place where you’ll find someone to listen, understand and not judge. 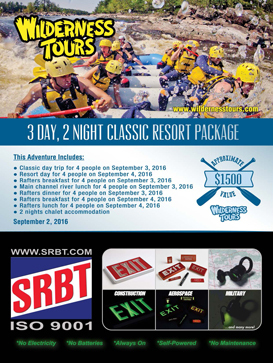 Please explore our website to find out more! 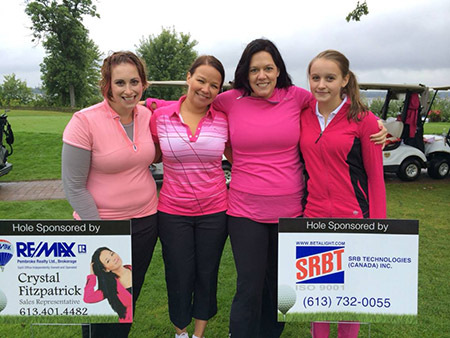 $4,165 raised for the Canadian Breast Cancer Foundation through Birdies for Boobies event. 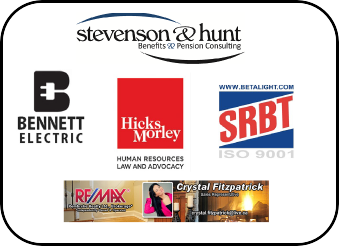 "A very special thanks to SRB Technologies (Canada) Inc. for their very generous pricing on the EXIT Lights that were purchased for the Whitewater Bromley Community Health Centre by the Beachburg Lions Club." since the beginning of November 2013. 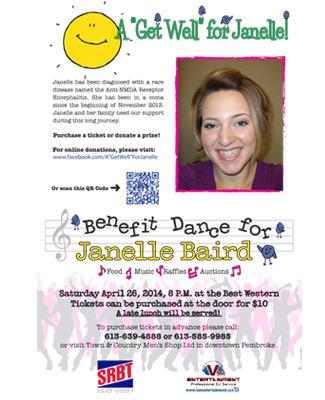 Click on the poster at right for more information on how you can help. 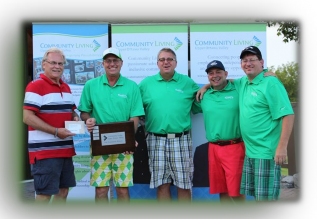 Main Street Community Services is a registered charity that valiantly attempts to address a critical need by developing and implementing comprehensive, research based programs for children who are challenged by a disability or an exceptionality. 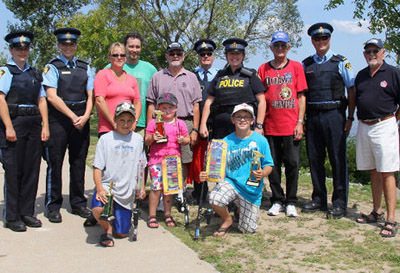 For more than 25 years, the Pembroke Kinsmen Club has brought kids and families together with their annual fishing derby. "Thank You! 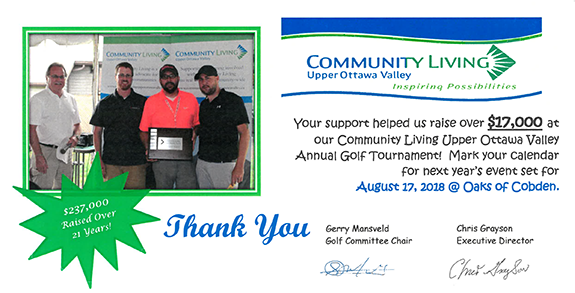 Your donation was greatly appreciated. 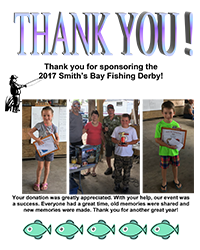 With your help our event was a success. Everyone had a great time, old memories were shared and new memories were made. 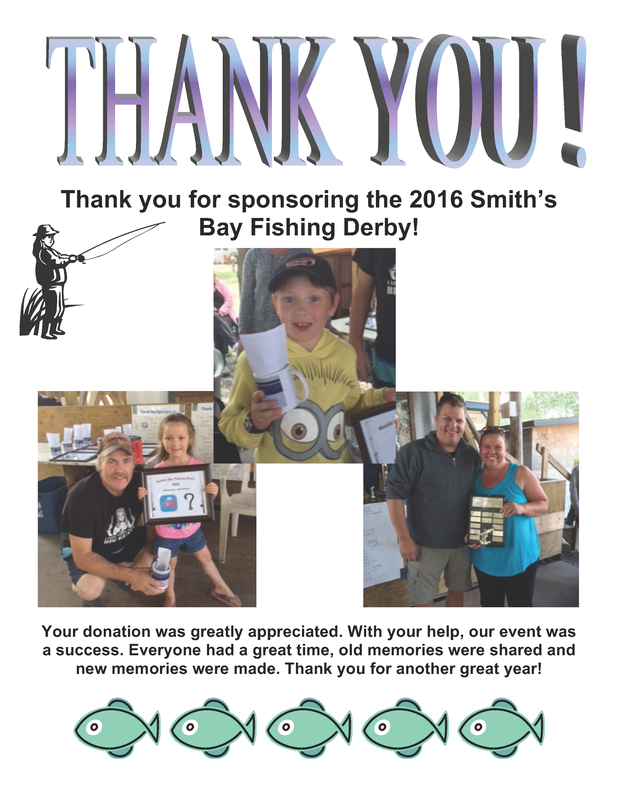 Thank you for another great year!